Some other attractions, such as the Main Street Haunted Hotel and the Demon Jungle, will also return to the theme park to be part of the Halloween events. Together with the Glow in the Park Halloween Parade and the Space Mountain — Ghost Galaxy, they are expected to bring scary and spooky sensation back to the park around Halloween. 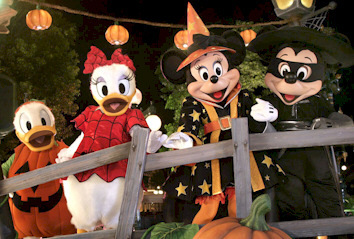 Disney villains including pumpkin men, gatekeepers and pirates will also appear at the Scary Photo Fun locations and Mickey will also put on spooky Halloween costumes. The Haunted Halloween offers will be starting one week earlier this year, with special evening tickets available at 228 HK dollars (29 U.S. dollars), said Frederick Chan, director of marketing for the park’s Hong Kong business.